Returning to designs abandoned in the 1970s, start-ups are developing a new kind of reactor that promises to be much safer and cleaner than current ones. Troels Schönfeldt can trace his path to becoming a nuclear energy entrepreneur back to 2009, when he and other young physicists at the Niels Bohr Institute in Copenhagen started getting together for an occasional "beer and nuclear" meetup. The beer was an India pale ale that they brewed themselves in an old, junk-filled lab space in the institute's basement. The "nuclear" part was usually a bull session about their options for fighting two of humanity's biggest problems: global poverty and climate change. "If you want poor countries to become richer," says Schönfeldt, "you need a cheap and abundant power source." But if you want to avoid spewing out enough extra carbon dioxide to fry the planet, you need to provide that power without using coal and gas. It seemed clear to Schönfeldt and the others that the standard alternatives simply wouldn't be sufficient. Wind and solar power by themselves couldn't offer nearly enough energy, not with billions of poor people trying to join the global middle class. Yet conventional nuclear reactors - which could meet the need, in principle - were massively expensive, potentially dangerous and anathema to much of the public. And if anyone needed a reminder of why, the catastrophic meltdown at Japan's Fukushima Daiichi plant came along to provide it in March 2011. On the other hand, says Schönfeldt, the worldwide nuclear engineering community was beginning to get fired up about unconventional reactor designs - technologies that had been sidelined 40 or 50 years before, but that might have a lot fewer problems than existing reactors. And the beer-and-nuclear group found that one such design, the molten salt reactor, had a simplicity, elegance and, well, weirdness that especially appealed. 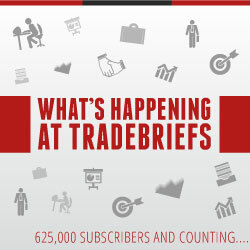 Read TradeBriefs every day, to understand the future! Five years ago, almost no one knew what agtech was. Inside the industry, we didn't even know what to call what we were doing. But fast forward to today, and agricultural technology - from vertical farming to data science to farm drones - is the new hot thing in investor circles. The Investment Corporation of Dubai alone just dropped $203 million into agtech investments; another $200 million came from the Japanese holding behemoth SoftBank; and dedicated VC funds are zeroing in on the sector's potential. In 2017, total investment was over $1.5 billion - a new record for the sector, and one that's setting the stage for explosive growth. But unlike many of today’s tech disruptions - from smartphones to social media - this one is less about consumer convenience or entertainment than about something far more pressing: our collective survival. The reality is that we have to quickly and efficiently bring farming from the industrial age into the digital one. In this respect, booming investor interest in agtech should hardly come as a surprise. Market potential is nearly limitless precisely because our appetites are too. We all need to eat, and our population is rapidly growing. Status as a Service: How Social Networks work! I Started Letting My Children Get Bored. Then, Something Amazing Happened.